Ignore Medicare for All Advocates’ Claims on Life Expectancy in US. Here Are the Facts. 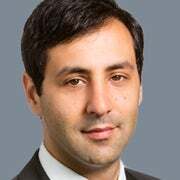 Arthur Milikh is assistant director of the B. Kenneth Simon Center for Principles and Politics at The Heritage Foundation. America’s greatest statesmen did not think that national holidays were merely about family dinners, watching fireworks, or getting a three-day weekend. These occasions, to the contrary, were needed to encourage all citizens to together raise their gaze above the enthrallment of their private lives, so as to see or imagine something greater than themselves and worthy of their admiration. Thanksgiving and the Fourth of July, first conceived by our Founders, are illustrative. Thanksgiving, as George Washington writes in his Thanksgiving Day proclamation, should instill in citizens gratitude to our nation and our creator, thereby asking citizens for a moment to acknowledge our frailty, our dependence on higher powers, and the imperfection of our understanding. Thanksgiving, therefore, is a holiday that restrains democratic self-satisfaction and pride. The Fourth of July, by contrast, celebrates courage and manliness, the kind required to defeat a great empire and to found a community devoted to political liberty. It reminds citizens of public spiritedness on behalf of our ideals, and that our ideals require of us sacrifice and courage. Thus, these two holidays celebrate starkly contrasting spirits—that of subordination and that of assertion, both healthy aspects of the republican character. What we today call “Presidents Day” is in fact Washington’s birthday. Just like a republican people must on occasion be reminded of the need for manly assertiveness and modest gratitude, so too must they be reminded of examples of human greatness. First instituted as a federal holiday in 1879, this day ought to celebrate Washington, not an abstraction called “presidents.” There is no meaning in celebrating “presidents” generally, and for this reason, the holiday today has no real content, being viewed as merely another day off work. To confuse James Buchanan for Washington is to conflate copper and gold. During Washington’s life, he deservedly became one of the most famous men in the world. His remarkable courage and prudence had, despite great odds and at great peril, carried to victory our 13 colonies against the most powerful empire on earth. The weight of this task fell upon his shoulders. 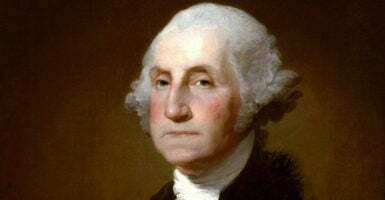 In times of peace, moreover, Washington’s self-possession and equanimity—by contrast to the brilliant but somewhat impulsive advisers surrounding him—meant that the country’s fate could be responsibly entrusted to him. The example of his control over his passions, his judgement, and devotion to the common good made him the new model of republican greatness, which until recently filled the American imagination for generations. Indeed, so clear were his virtues that both Federalists and Anti-Federalists reached unanimous agreement about Washington’s worthiness to be president, despite their immense disagreements on almost everything else. Today, examples of human greatness are needed perhaps more than ever. In the hurly-burly of the crass and silly images in popular culture, film, and music, such examples are absent. In our books and textbooks, individual greatness is often tacitly denied by teaching that vast cosmic forces—like economic forces, or technological advancement—rather than individuals, cause events. And when individuals are the cause, they are often characterized merely as oppressors. Our experiences of these things combine to instruct us in vulgar aspirations, enervating fatalism, or hatred of greatness. Revering Washington and living with his example is not just a matter of arbitrary, antiquarian taste. In fact, reverence for human greatness, as Tocqueville observes, is among the things most needed in democracy. In this context, human greatness means maintaining moral and intellectual independence despite the tyranny of the majority over the individual. Such independence is the source of statesmanship and the kind of steadiness of character required for it. It is inconceivable that a man like Washington would go along with arbitrary new tastes or ideas. But without such examples as his remembered on a specially assigned day for all Americans to consider, we have few occasions to learn from his example.